Twinity’s newest addition to Sightseeing – Yoph’s Yoyoshima. Brought back to our attention with a series of beautiful images and a Twinity #Machinima we just had to share! “If you think of a virtual world you can think of a game, a virtual place to let lose and go wild and have fun, be who and what you are when nobody was watching and the fact that you can do that in Twinity is simply amazing. But sometimes, it’s not just about that. Sometimes, you seek peace and peace can be found in the most unexpected places or even items or people, sometimes. 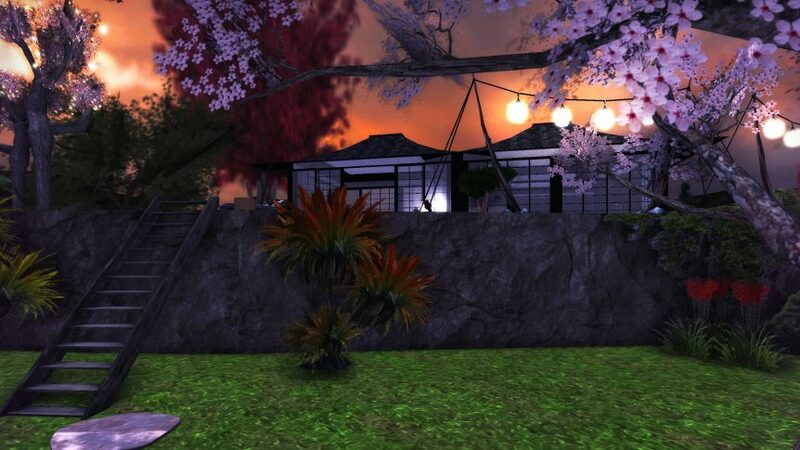 And that is what Yoyoshima, Yoph’s virtual home inspires when you visit, a certain peace. But it’s even more!! It is a fantastic place to party and spend awesome time with your friends online. You will know for sure why it has been added to the Globe Menu and Sightseeing category as soon as you visit, so whether you are looking for peace or a party this is one place you don’t want to miss out on!